Found that your professional network has dwindled? Feel uncomfortable at networking events and find showcasing yourself difficult? Want to build relationships with other professional women? Looking for guidance and advice from other professional women to take your career or business to the next level? Want to introduce or broaden your brand recognition further? If this resonates with you, then you need to join us at our networking lunch. 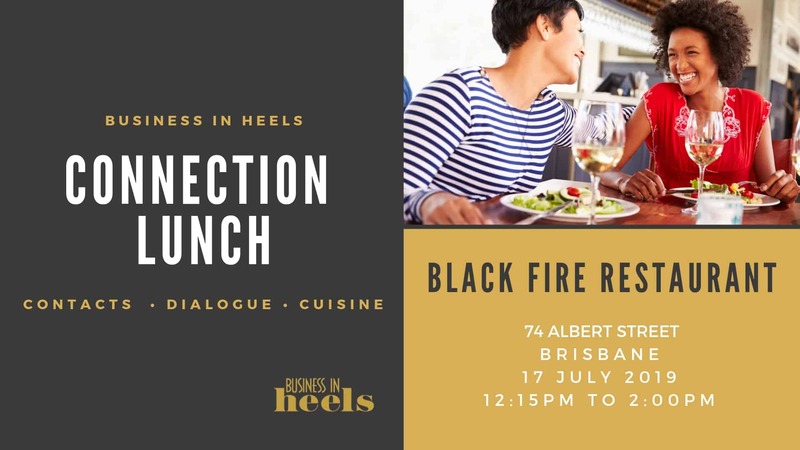 Held at Black Fire Restaurant on Albert Street in Brisbane, you will enjoy a 2 course meal and a glass of wine, whilst extending your professional network. After a warm welcome from our local Branch Director, Melissa Ryan, you’ll be introduced to one of our networking superstars who are great at small talk and mingling. You’ll be strategically seated to maximise new connections and over an amazing lunch, you’ll have the opportunity to learn more about those women at your table and share your own story. Increase “know, like and trust” factor with our fun, quirky and self-reflection questions. So come along, bring your business cards and we look forward to helping you extend your professional connections.